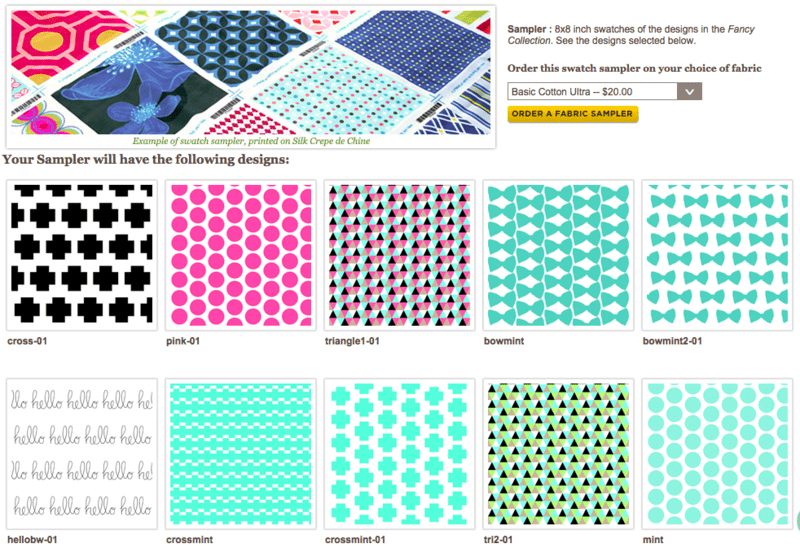 Navigating all the options offered by the Spoonflower site can be daunting. As a new-to-the-site designer you may become overwhelmed with the opportunities now at your finger tips, but we're here to help! Today we'll help tackle the challenge of testing designs by introducing the swatch sampler. To get started, you'll need to have a set of designs in a collection in your Spoonflower design library. For help doing so, check out this Bootcamp post. 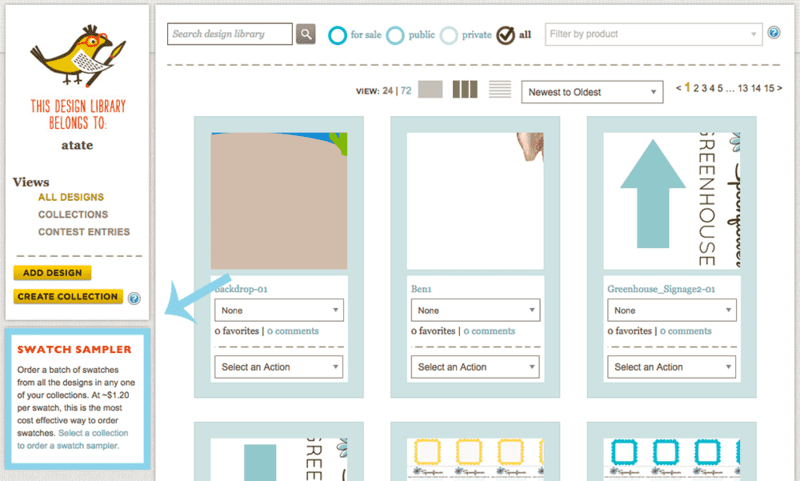 From your Design Library, on the left-hand side of the page you will see details about swatch samples with a link. Clicking that link takes you to your Collections. Select the collection you would like to order as a swatch sampler. I chose my collection titled Fancy. At the top right of your collection page, you will see a button labeled "Get a Sampler." Clicking "Get a Sampler" displays the designs that will be included in your sampler and have the option to choose your fabric type. Using the drop-down menu at the top right of the page, simply select the fabric you'd like to use for your swatch sampler. Once you've decided, click "Order a Fabric Sampler" and you're taken to the usual cart page. Here you will proceed with check out like with any other Spoonflower order! Need help navigating other aspects of the site or fabric design? Check out other Spoonflower Bootcamp posts here. Have a question that hasn't been answered? Leave us a note in the comments below!